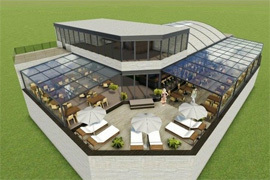 Amazing evolution for outdoor Restaurant and Café ! 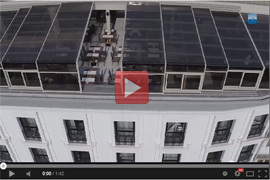 When you reach the top floor of the Darkhill Hotel you will be amazed by the wonderful sea view. 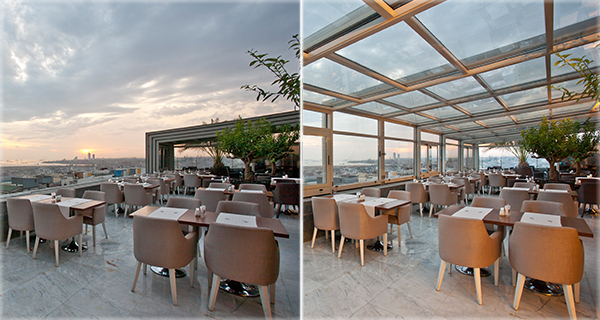 In this terrace that serves as a restaurant, at the terrace you can watch our double glazed Lean-To system in action. When closed you can enjoy your meal in a warm environment with the awesome sea view and when the weather permits, you enjoy a totally open terrace alone with the sky and the fresh sea air.